I turned the blue valve with all of my strength. The sound of rushing steam grew softer. Alright, next close the red valve... The next valve was nearby. This one goes clockwise, right... I turned the red valve. The strength of the steam coming from the pipe weakened. "Coco, hold on just a little longer." 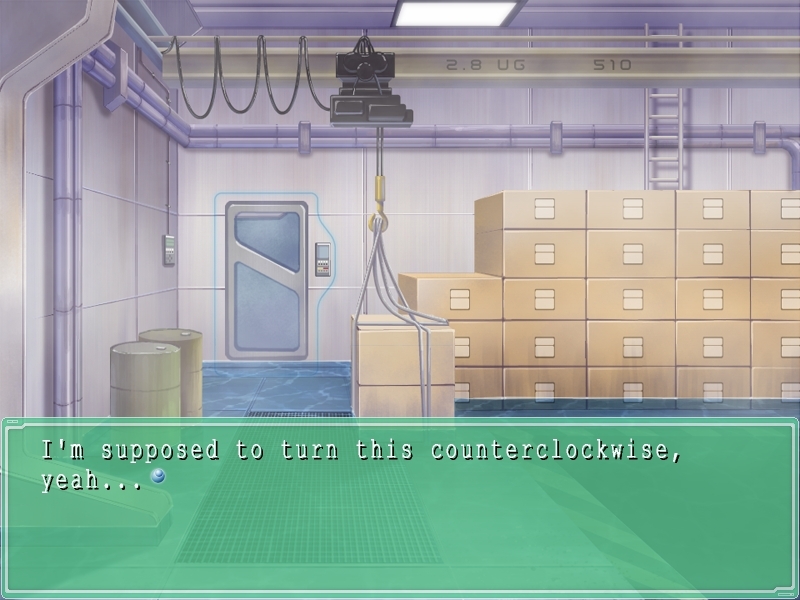 Holding up her left hand to shield her face, Tsugumi operated the welding torch with her right hand. The crack in the pipe closed visibly. "Takeshi, after I've finished attaching this, return the valves to their original positions." I quickly turned the valve back in the other direction. I could feel the steam flowing through the valve. "Coco, this pipe's done. Go on to the next one." "Hmmm...hold on just a second." The water underfoot still hadn't gone down at all and was swirling around. The air conditioner on the wall was sucking in water and gurgling it out. It appeared it had also shorted out. I could see blue-white sparks jumping around inside. I was starting to get a little scared. The air conditioner made an awful sound. And all of a sudden, muddy water started overflowing from the exhaust vent. The area around my legs was quickly getting grimy. "The drainage is starting to back-flow, be careful!" My leg got caught up in the jet of muddy water and I lost my balance. I reached out to grab something. I caught on to a stack of crates and old containers lying nearby. Although the crates caught my weight, they shifted and began spilling over. Countless containers and rusty pipes started raining down. They passed me and headed on a direct course to hit the wall. 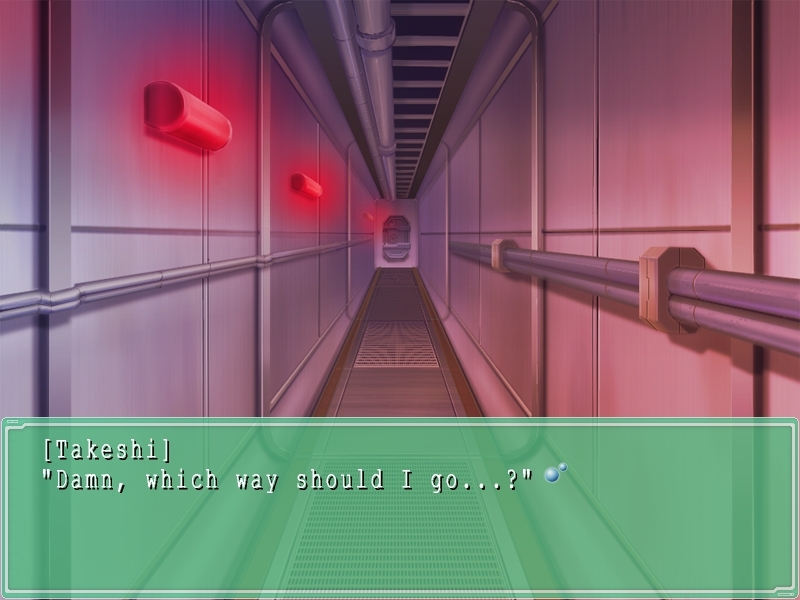 A metal shard had dug deeply into Tsugumi's right thigh, and it didn't look like she could move. Steam was pouring out of the burst pipes surrounding us. And the drainage pump, not doing its job, continued belching out muddy water in large quantities. "I guess I messed up." "Heh, heh. Does this LOOK okay to you? Always asking stupid questions." "S-stop laughing! I'm going to get that stuff off you, just wait!!" 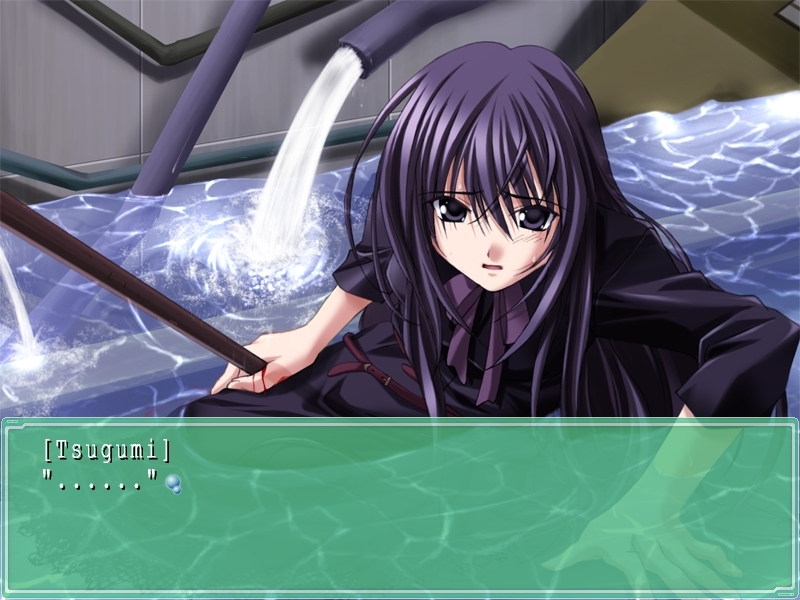 I hurried through the water to Tsugumi and tried to lift the metal off of her. But, no matter how hard I tried, the heavy chunk wouldn't budge. "Looks like it's no use..."
In the meantime, the water level had risen from ankle to knee height. Coco crawled over to get closer to Tsugumi. Stung by Tsugumi's cold words, Coco stiffened and stopped. "Get out of here, Coco. 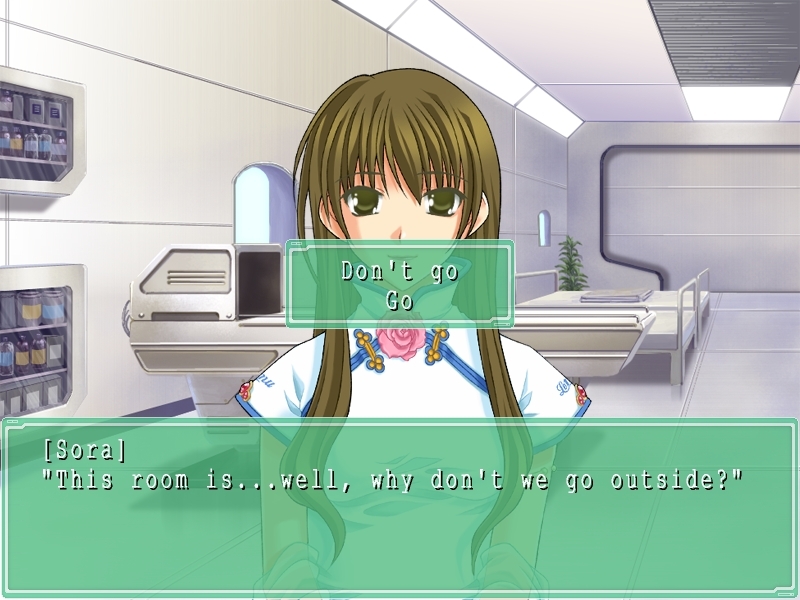 You too Takeshi, get out while you can... At this rate, this room's partitions won't last. You'll all die if you stay. So, hurry... Get out of here." "....But- Stupid idiot!! You think I can just leave you!?" "I won't let you give up on me now, dammit! Hey Coco! What are you standing there for!?" "Get on that intercom and contact the others!" With all her might Coco moved her trembling legs to get closer to the intercom. "It's no use.... It's broken! I pushed the button, but nothing happens!!" "So run up and tell the others to get over here!" Although she looked flustered, Coco nodded and ran off. The door to the warehouse closed. Soon, water came up to the bottom of the door. The water continued to rise. 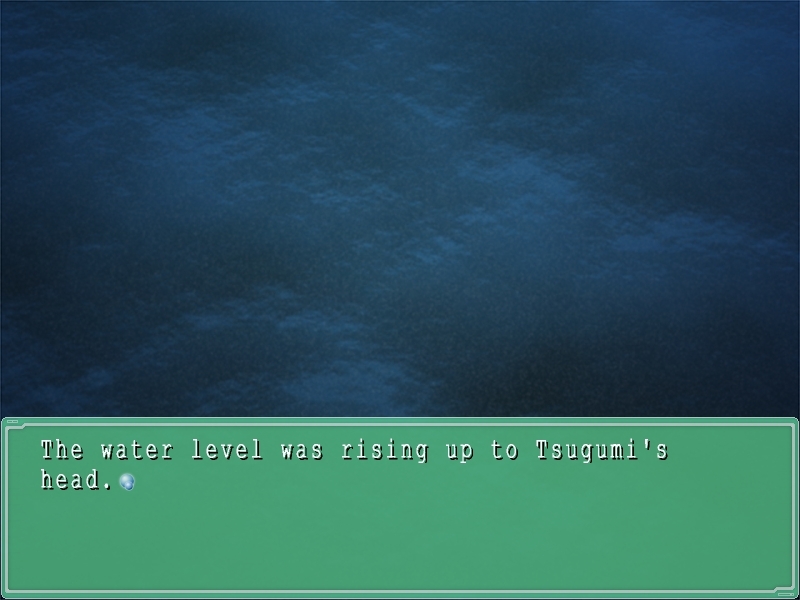 From her waist down, Tsugumi was almost completely underwater. The water level was almost over my knees. "What are you trying to prove... It doesn't mean anything...just leave. I don't want you here." "I wouldn't be here if there wasn't a reason. I can't just leave you here." "I've taken nothing but abuse from you, and you still haven't thanked me properly yet." "Oh, really...heh, heh. Well that's reason enough I suppose. " Tsugumi laughed weakly. Her lips were trembling. The murky water was spreading. "It's gotten cold in here..."
"Alright Tsugumi...I need you to stay with me, now." I chose my words as carefully as possible. "You'll be okay. The wound isn't that deep, so don't worry." "'You'll be okay'...what makes you think that? You're the one who's crazy..."
"I'm sorry, it's all my fault. I wasn't paying attention, and you got hurt..."
A section of the partitioning had broken and seawater was rushing in. The water was ice cold, and seemed like it would freeze us. The water volume increased mercilessly. Her face contorted with pain. In agony, she labored for breath. There wasn't any time. I couldn't open my eyes. All I could do was search the bottom using my intuition. 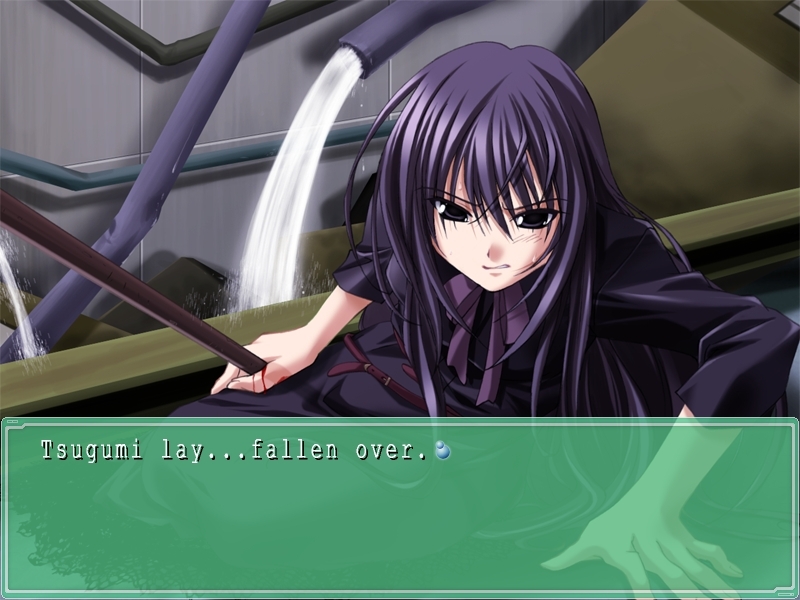 Using all of my strength, I heaved up the large mass of metal sticking into Tsugumi's leg. Aided slightly by the buoyancy of the water, the metal hunk moved slightly. Tsugumi pulled her leg out at once. The flooding wouldn't stop. The water level was already above my shoulders. "You are... Such a stubborn idiot..."
"Shut up and just keep quiet." 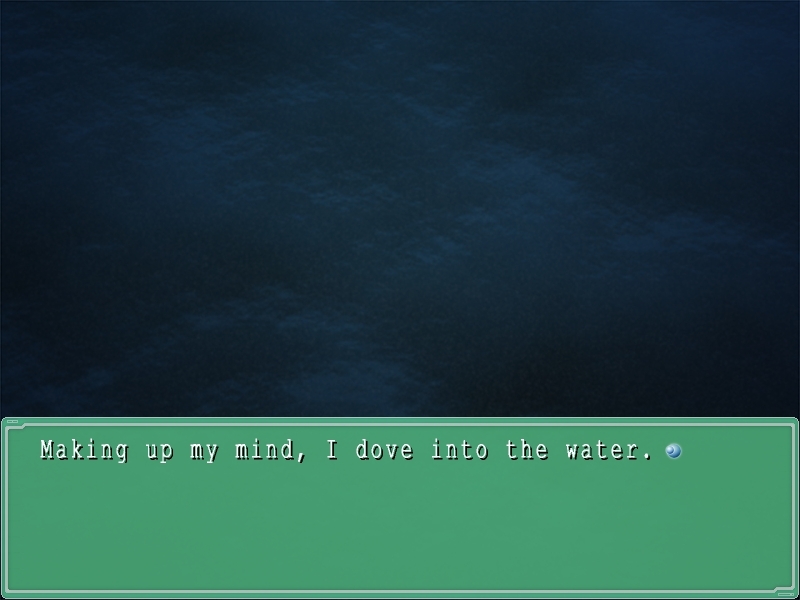 With her leg injured, there was no way Tsugumi could swim. Holding onto her, I headed for the exit. But the door was already under water. "Look, there's no way you can save me..."
"I told you to keep quiet!" "There's got to be another exit. I'll look for it. It'll be okay. We'll find a way out of this." "There you go again, saying 'It'll be okay'...you're so irresponsible..."
I probably could have forced open the door if I had tried, but it would have put the second floor in danger of flooding. I searched desperately for an emergency exit. My legs wouldn't touch the floor. I could hardly breathe. I was at my limit. ".....!! There's a ladder! In the corner of the room there's a ladder. We can use it to get to the emergency passage. 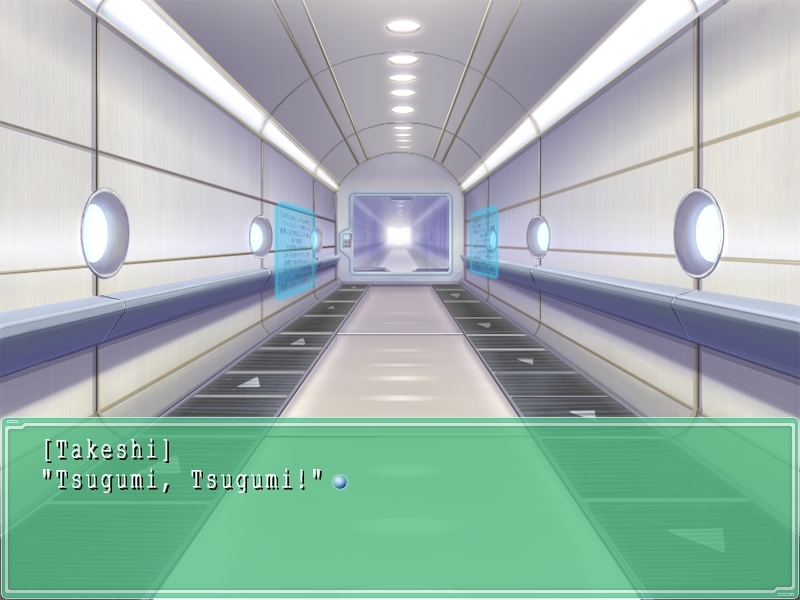 We're going to make it Tsugumi!!" 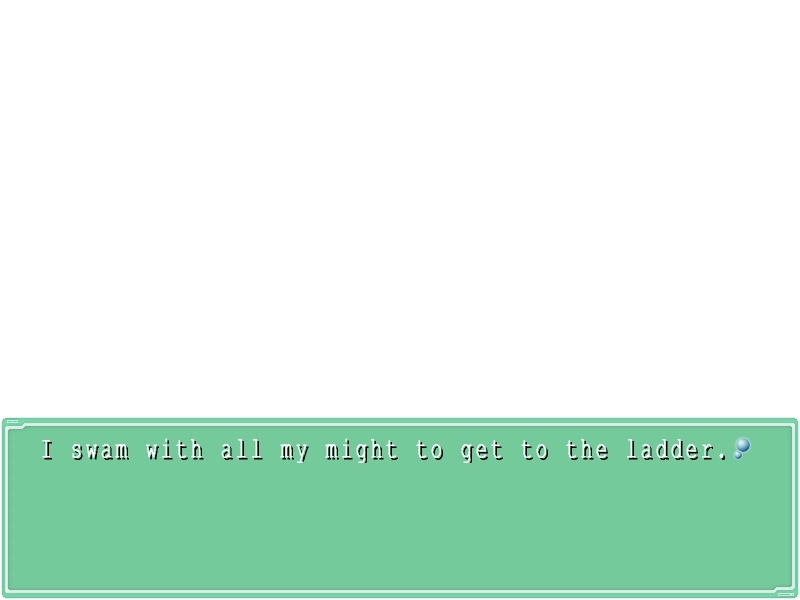 With Tsugumi draped over my back, I climbed up the ladder. 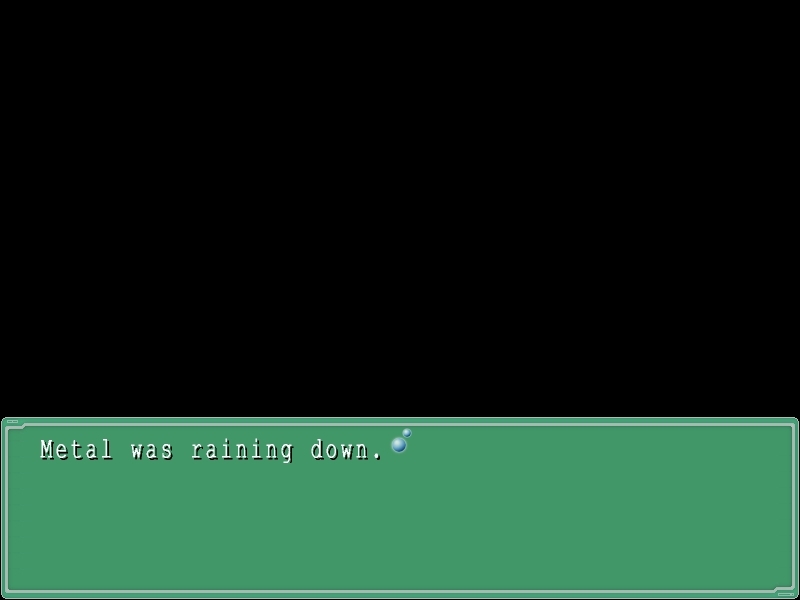 I opened the flood hatch at the end of the ladder and pushed Tsugumi through. The sound of the flood, faded away.... But there wasn't time to rest. Tsugumi was still losing blood. I took her up on my back and began to run. A dead end in the passage had me totally lost. Sora appeared suddenly in front of me. "I know. I heard everything from Coco. 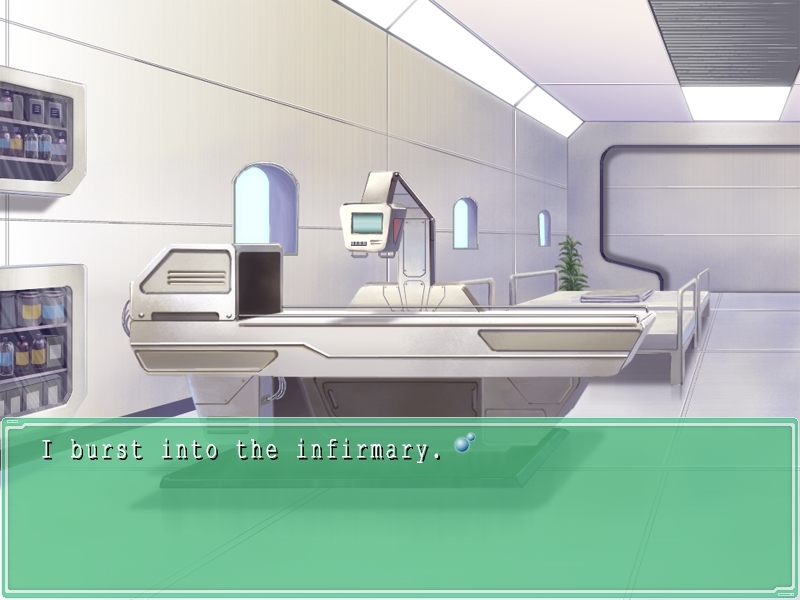 Bring her to the infirmary immediately, You is currently preparing to treat her." "Alright, I'm on my way! Now, which way do I go?" "Return back along this passage, go down the stairs on the right and take the standard passage to..."
"It's okay, it's going to be okay....!" Tsugumi groaned painfully from her place on my back. Even if she thought it was irresponsible of me, I couldn't bring myself to tell her 'It's no use, it's too late.' As long as I had even a little hope, I didn't want to throw it away. 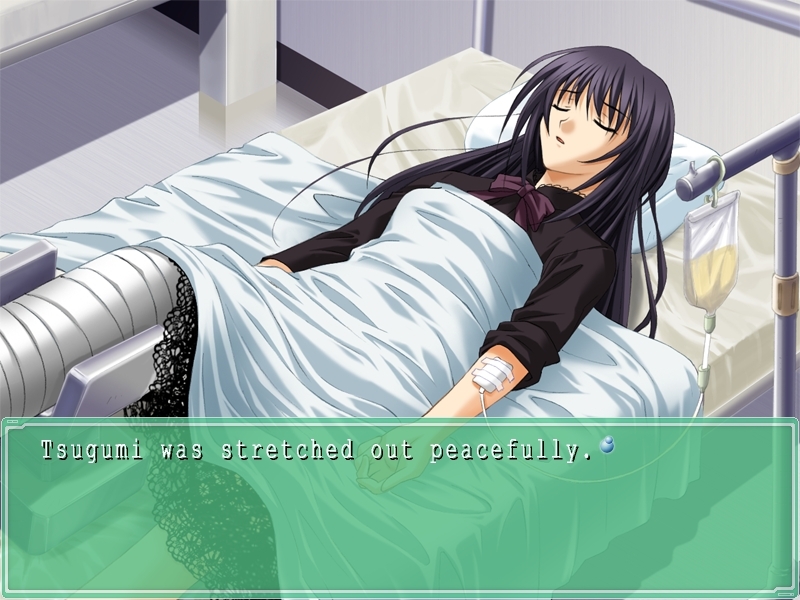 I set the injured Tsugumi down on the bed. She'd lost so much blood. We had to take emergency measures immediately. "Hey, what are we going to do!?" "Get out of the way!!" You, who'd been waiting in the room, pushed me out of the way. 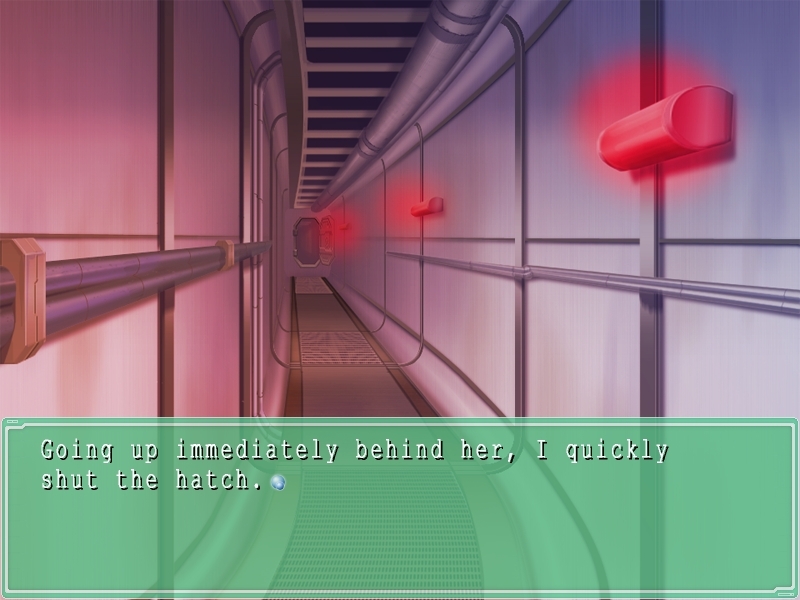 A tourniquet was taken out from a rack of medical instruments on the wall and fastened around Tsugumi's thigh. "What's the status? How bad is it? Can't we use that scanner to check it out?" I pointed to the L-MRI. "It seems to be broken." Sora put her hand on Tsugumi. A holographic window appeared in the air. A small sensor, or camera started moving on the ceiling. "Well, this is just a bio scan, so I can't tell for certain, but..."
"Her femur is fractured. And it looks like it might be compound. That and the artery is severed. She'll need sutures." "I've stitched up my finger before. It was with a survival kit, but..."
"Well, You, do you think you can assist me?" "I'll do my best! Do we have anesthetic?" "I'll get it ready. The laser scalpel, forceps and sutures ...everything we need, is already in the room." 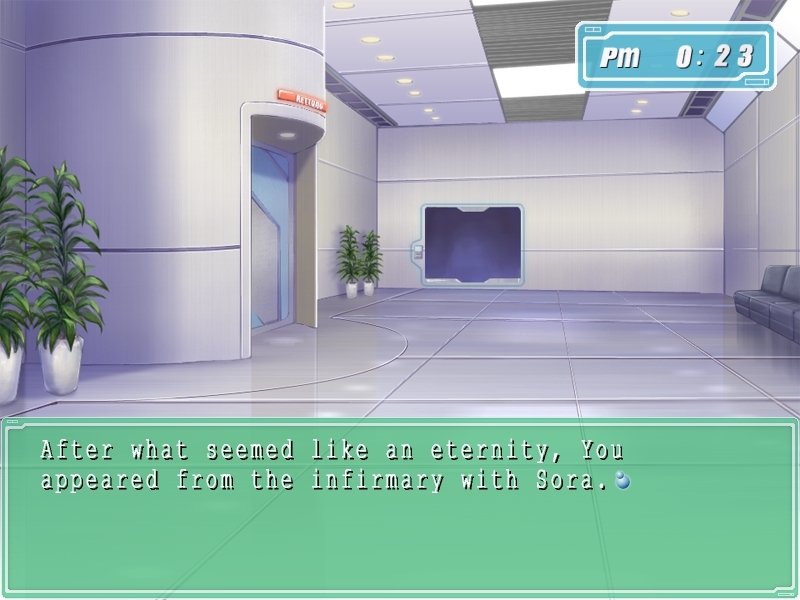 Sora moved the electric wagon, and used its robotic arm to gather the necessary surgical tools. You flipped up Tsugumi's skirt, and started wiping off the wound. "Takeshi!! Don't stand there! You're in the way!" You pointed angrily at the exit. "Uh, yeah, sorry...take care of her, okay!" You looked determined to show us all what she was capable of. I set myself down on a nearby chair. "Oh, Takepyon... Is Tsugumi going to be..."
Coco was holding onto Pipi, but looked as if she was having a hard time relaxing. "You let them know right away so...she should be fine." Coco's eyes were moist. It was hard to tell, but she had probably been crying moments earlier. Even still, she tried to smile. "Hey, you think Tsugumi's... Tsugumi's...gonna be okay, right?" Still looking worried, she tilted her head as she asked me. "Yeah. She'll be okay. Absolutely fine...?" I closed my hand into a fist... And told myself. She's going to be okay. The surgery was overTsugumi was going to live. "It required a total of 40 stitches and will take two months to heal completely. And it will take her a few more months to be able to walk normally... Until a rescue team arrives at LeMU, and we can get her out of here, she's going to have to rest." "Alright. Thanks Sora. And...good job, You." "Oh...um, nothing, I'm just really tired...you know... I've never done an operation like that before..."
After that You looked down and didn't say much. "By the way, it looks like the flooding stopped in the Zweite stock warehouse. All pipelines connecting to the warehouse have been closed as an emergency measure and the whole area has been sealed off from Zweite. So, we don't have to worry about the flood damage expanding. That's it then." We still couldn't think of any way to escape. Still, we didn't want to feel like we were completely wasting our time. 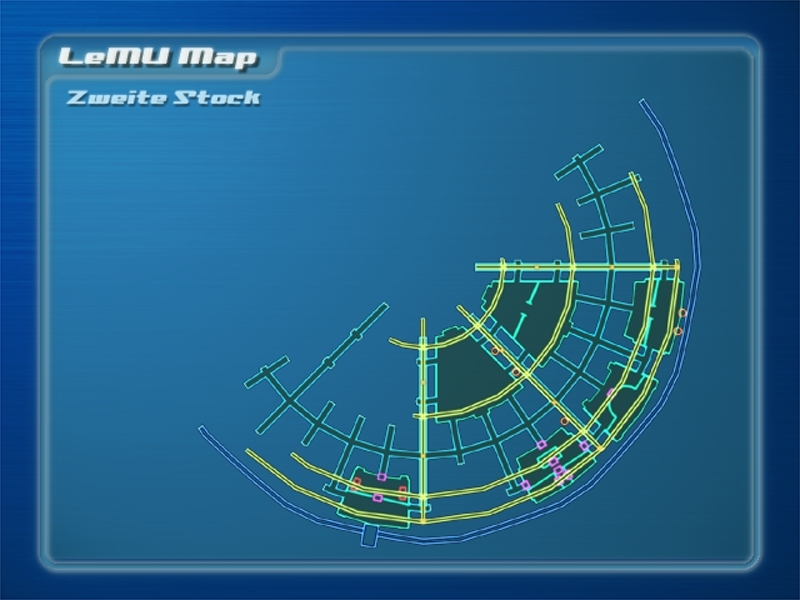 So we all decided to wander around LeMU one more time. As we made the rounds, I said things like... "Let's find something decent to eatno more of those chicken sandwiches from the kiosk!" and, "How many people can really ride on an EI that doesn't have enough buoyancy?" and made other ridiculous propositions. Everyone was getting a little sick of me, but they still laughed along. We all knew... As long as we were doing something, it kept our minds off things we couldn't change... Like about how there was no way out, or remembering where we were. Everyone was left to wander around freely until then. I thought Tsugumi would still be sleeping in bed. As I stood in front of the sliding door, it opened. "Takeshi, what are you doing here?" You greeted me with slight surprise as I entered the room. "Nothing really. I just thought I'd get some coffee to wake me up. What about you two? What are you and the Kid up to?" It looked like she was in the middle of spreading out tools and parts next to the 'L-MRI' scanner. The Kid was crouched down by the scanner as well, looking at what appeared to be pages of data. 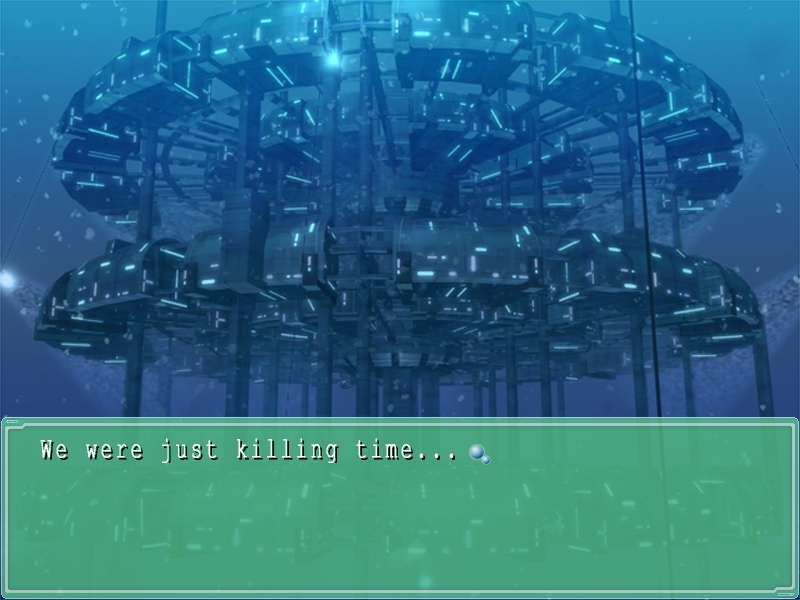 "Well...you know, I thought I'd try to fix this machine after all." "Wow. And the Kid's helping?" "He's much more helpful than he looks. 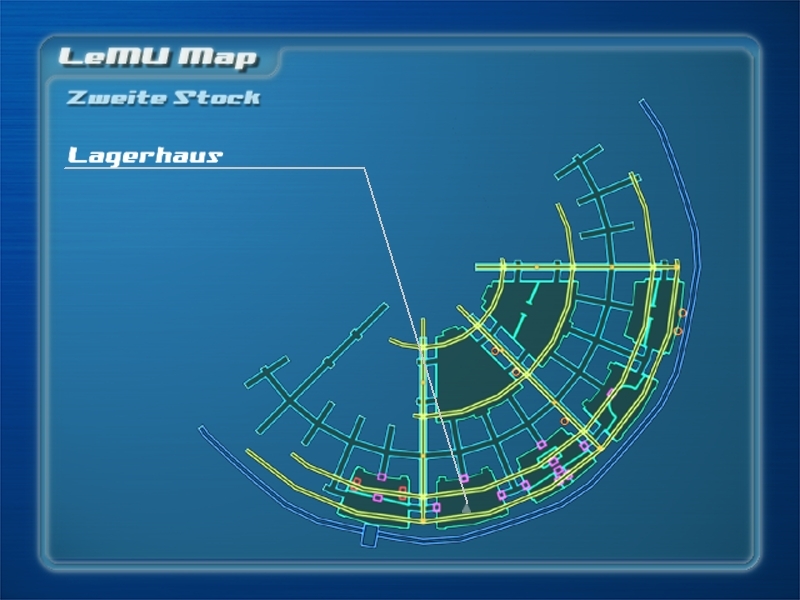 He's really quick at reading blueprints...."
"Sometimes that happens, where the Kid'll be strangely good at something. I wonder why that is?" "That's what I'd like to know." "Nope...not a clue. There might be some reason, but..."
The Kid hung his head, thinking. "Hey, hey, don't worry about it. No use wondering about it now. It'll all make sense anyway when your memory comes back." "Hey Kid, can you hand me that wrench?" "Yeah, thanks. Here we go." You sat cross-legged on the floor and began to unscrew the cover of the scanner. "Hey, I can see up your skirt when you sit like that." "Cut that out! Quit looking, this isn't a peep show!" "Alright, alright, I was just joking..."
I raised both hands and backed away. "But you know, while the Kid's head is clear, maybe we should tackle some of the trickier problems." "Because, what if he hit his head or something, and he's only going to be good at this stuff for a little bit? Maybe it jostled some brains cells into action that don't usually get used..."
"Oh, please. This isnt a comic book. Right, Kid?" "So, what's a comic book again?" "What?! You've even forgotten comics?" "Well I have a vague sense that I've heard the word before..."
"Wow, to forget about comic books...you know, you're missing out on about 20 percent of life right there..."
The Kid and You continued their strange conversation...and I started to feel like there was no real reason for me to be there at all. I turned my back to leave. You stood up abruptly and came to stand in front of me. "You came to check on Tsugumi, right? She's sleeping in that bed over there." "She isn't conscious yet, and of course she can't move her body...she really just needs to rest." You was speaking slowly, her eyes cast down. For some reason, her expression hardened. "Andits not that I'm so sure of myself, but...still, I've done my very best for her... I can't guarantee that she will, but I want her to get better.... So we'll just..."
"I know, You. And I'm really grateful for what you've done." "If you hadn't done the surgery, Tsugumi wouldn't have made it." "But we still don't know if she will really recover..."
"You worry too much. What? Don't you trust yourself?" "No. I'm not a trained doctor or anything..."
"I don't think that Tsugumi will give up so easily. She'll pull through...I know it. She'll be just like she was before in no time, and giving me a hard time as usual for sure." I guess so. Actually, I'm starting to feel the same way." "Well then, I guess I'm off to see that mean-spirited girl's face... So fix that scanner, okay?" "Just leave it to me!" You plopped down again, and she and the Kid began grappling with the now-coverless scanner. I went toward the bed in the back. I was probably due to the serious nature of the operation, but she was getting an IV. At least she wasn't hooked up to a respirator. Then again, that could have been because the infirmary didn't have a respirator... Thankfully, she didn't look like she was in pain. She was sleeping so serenely, I could almost believe that she would recover quickly. I remembered how she dragged me behind her as she ran through the aquarium. How tough she was, so much stamina. She lay under a white blanket. Her right foot was completely covered with a brace and bandages. I couldn't tell what kind of condition it was in. I realized something as I neared the bed. That smell of antiseptic that I had first recognized when I came into the room... It was still strong and harsh around the bed. I looked down at the floor, and it was as if the tiles were blurring, changing color. It was the raw, brutal traces of the surgery. I gently squeezed Tsugumi's hand, which was peeping out from under the blanket. It was my fault that this had happened to her. If she doesn't make it... It wasn't the kind of thing made better by an apology. And even if she did recover... What would I say to her face? It would only be natural for her to hit me, or yell at me. All I could do was repeat it over and over to Tsugumi, who couldn't even answer. There was a voice behind me. Letting go of Tsugumi's hand, I quickly whirled around. Sora had suddenly appeared behind me. "It is unlikely that Tsugumi will wake up for a while. The anesthetic is still in effect...it is probably best to leave her alone right now." I know shes AI, but the fact that she looks happy about this disturbs me. "Yeah, I suppose you're right..."
"So, Takeshi, are you free right now?" "Yes. If it is all right, I would like to talk to you." "It's um, um, a secret." I was a little shocked..
"This room is...well, why don't we go outside?"